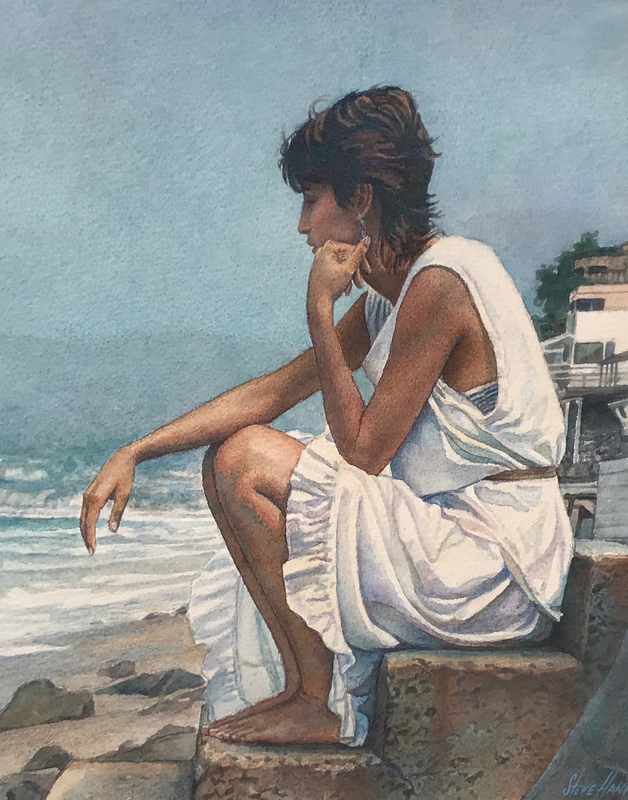 Steve Hanks began his art career at the age of sixteen when his parents moved the family from Southern California to Albuquerque, New Mexico. In California, he had been very active in sports, especially tennis. But devastated by the move to California, Hanks spent much of a year in his room listening to music and drawing posters for music groups. His posters of the Beatles, Bob Dylan and the Doors sold around the country. After high school graduation, Hanks “jumped in the car and went back to California.” (Stavig). 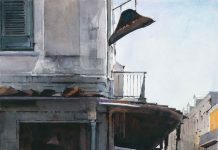 He enrolled at the Academy of Fine Arts in San Francisco, and then studied at the California College of Arts and Crafts where he earned a Bachelor’s Degree in Fine Arts. At CCAC, he took life drawing, and from that time, the focus of his painting was the female figure. 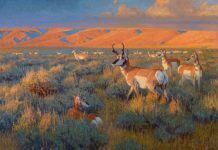 After earning his degree, he returned to Albuquerque, a place he later described as a “land of entrapment” (Stavig) with one of the reasons being that it had galleries willing to promote the work of a young artist. He said there was no way that he could make a living as a 21-year old in California. 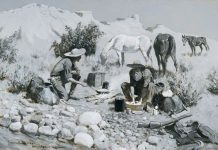 In New Mexico, Hanks worked as a caretaker of a Campfire Girls camp near Cuba. This job provided him with $75 a month, a place to live and ten months of free time to do his art. 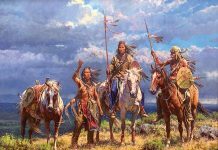 He stayed true to his original course of figure painting, especially people that he knew, and resisted the landscape and Indian subject painting done by many of his peers. In the 1980’s, Hanks developed allergies to oil paint. He turned to watercolors, and though he liked the medium, the market was in a slump, and Hanks needed something new. He contacted the toy maker Etch-a-Sketch and offered to be the official Etch-a-Sketch artist. He made a name for himself and was featured in People” magazine and interviewed on the New York television show, “Good Morning America.” Although the Etch-a-Sketch business took off when he found a way to freeze the images, Hanks gave up the business. With a nine-thousand dollar loan from a friend, Hanks toured the country seeking galleries to represent him. Within two months he repaid the loan and Hanks was able to return to his true love and talent. His career ‘took off’ and included printed limited editions of his drawings, and expanded representation at galleries. He also entered museum competitions and won awards.